‘Emerging technologies’. What are they? 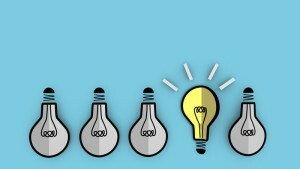 An emerging technology is something that might be totally new to the world. Or as is very often the case, it’s been around in some other industry for a while and there is further innovation going on to make it applicable for outdoors use. It might look as though it’s going to succeed and be all conquering or may stall and fade or be corrected after a thorough airing in product forums around the world. An interesting effect sometimes is that existing technology leaders might have to accelerate the improvement of their existing offer to avoid losing market share, creating a win-win scenario. New technologies are usually created by either fibre or textile producing companies and they are often selective as to the brands they trust to launch new ideas and then distribution widens year on year if successful. 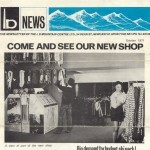 There was a retail store called LD Mountain Centre founded in 1966 in Newcastle, out of which grew Berghaus. In 1972 the owners wished to branch out into manufacturing packs. They battled hard with Karrimor, who weren’t for giving up their rucksack domain, but didn’t make the progress they wished for. By the late 70s one of the directors of an American company serving the electronics industry, had the idea of using their existing and emerging technologies with PTFE to produce waterproof clothing. That company was W.L. Gore. In this case the fabric was not coated but used a PTFE laminate. It did something different which the original Macintosh (and all its successors) did not do. 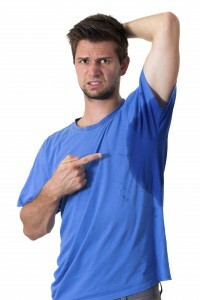 It allowed the wearer to have greater comfort because it was able to let moisture vapour ie sweat, out. This was undoubtedly an emerging technology and initially imperfect partly because the unsealed seams leaked. But after a difficult period solutions were found. 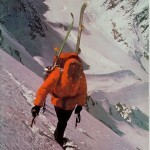 Berghaus went on to build their business throughout Europe and the world on these new emerging technologies supplied by W.L. Gore. Being there at the right time when the new emerging technology is little known, can be the key to the founding of a great business. Until recently synthetic insulation was usually a non woven textile using regular fibres or microfibres, in a form known as ‘wadding’. These fibres have sharp ends which can penetrate the outer fabric and leak. So the fabrics around it must be fibre-proof ( just same as a down jacket fabric needing to be downproof, same fabrics and processes. ) Some new insulation types which don’t need the fabrics to be fibre-proof, are called ‘non- migratory’ wadding, a big advantage is the jacket having a better ‘air exchange’. That’s a new word we use instead of ‘breathability’ because its a more appropriate description. 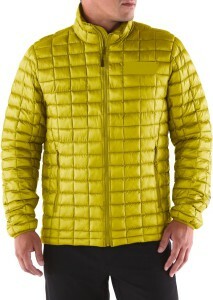 There is also a knitted insulation textile called ‘Alpha’ by Polartec and this of course has the same advantage. These garment types are excellent as mid layers for the ‘air exchange’ reason and thus often slimmer cut. Moisture (also known as rain or sweat) management is known as the ‘battle for understanding’ and the realisation that dealing with waterproofing is about realising that no existing waterproof ‘breathable’ fabrics can deal with the amount of sweat moisture we pump out. And that the very best users will allow their garment at times to let in water, (sleeves upwards, hood down, ) . We expect our base and mid and outer layers work automatically, but there are new choices we need to think about, more technology on its way. Watch out for ‘37.5’ formerly ‘Cocona’. An example is the MECO (name derivation Merino and Cocona) from RAB. Editor’s observation: Chris Townsend, ‘I’ve had a RAB ‘MECO’ top for several years now and it works really well. Is it still an emerging technology’? Reply – ‘Yes indeed Chris, ‘37.5’ company has the overall objective of moisture management in all our layers, not merely base layers. Its overall influence currently is small so that may change if it performs through all layers’. One month later Chris found a test report of a tent with a ‘37.5’ layer. Time and testing will tell.